Since the Inn on Mill Creek Bed & Breakfast is getting a little herb garden makeover this year (more on that later this month), we are super excited about the 10th Annual Painters Greenhouse Herb Festival, the weekend of April 12-13, 2014. Painters Greenhouse is one of our favorite locally-owned nurseries, located near the Inn on Mill Creek, in Old Fort, NC. The Painters Greenhouse Herb Festival is much more than a sale on rosemary and basil plants and the opportunity to sample the famous Painters Pesto: more than 25 talented local artisans will also be at Painters Greenhouse that weekend for the festival. Handcrafted furniture makers, painters, photographers, jewelry artisans, soap makers, local authors, and many more will have booths set up for you to peruse their items. And what would a festival be without food and music? 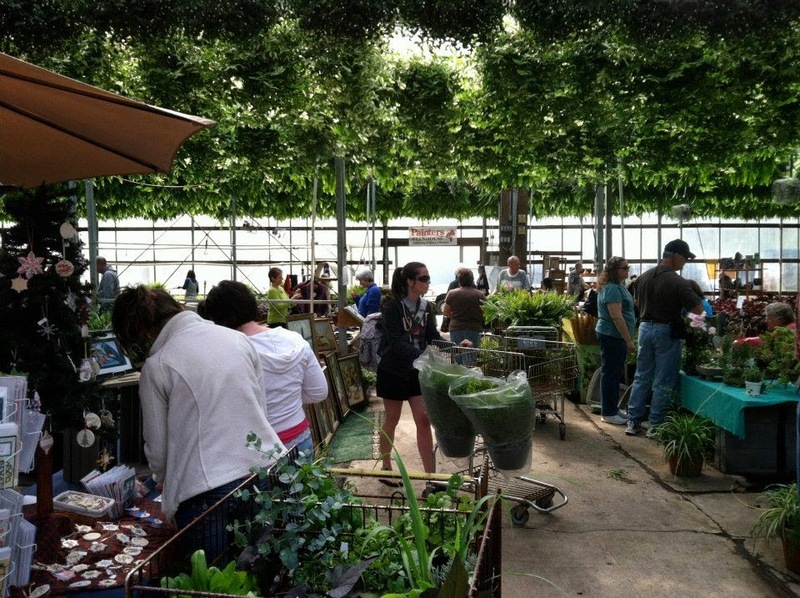 The 2014 Painters Greenhouse Herb Festival will have food vendors selling all kinds of local treats, and beverages as well. Local musicians will also be entertaining festival-goers on Saturday and Sunday, with a lineup that includes blues, jazz, rock classics, original songs, and even a Native American flute performance. In addition, Painters will feature a petting zoo on Saturday and a clown entertaining the kiddos on Sunday. Then there are, of course, the herbs. Painters Greenhouse is known for having an awesome variety of plants and their herb selection is no exception. They’ll be offering sale prices on different sizes of herb containers, from $1.50 for a 4″ container to $6 for 8″ containers. Perfect for taking one or two or ten home with you to start or add to your own herb garden. Just leave a little bit of rosemary for your innkeepers.